There was a time where I had an incredible memory. I knew everything there was to know, or so I thought. The most vivid memories revolved around food. For the past three years or so, I have documented my life with food pictures. Most of my pictures are of my kitchen creations, but there’s also a smattering of other memorable meals. These past three years it seems that my life memories are disappearing. I’m forgetting even the context of food pictures. Who made it, how it tasted, where it was eaten seems to be slipping. I’ve decided that I need to capture the context before these food memories disappear altogether. This house is missing the ground floor. 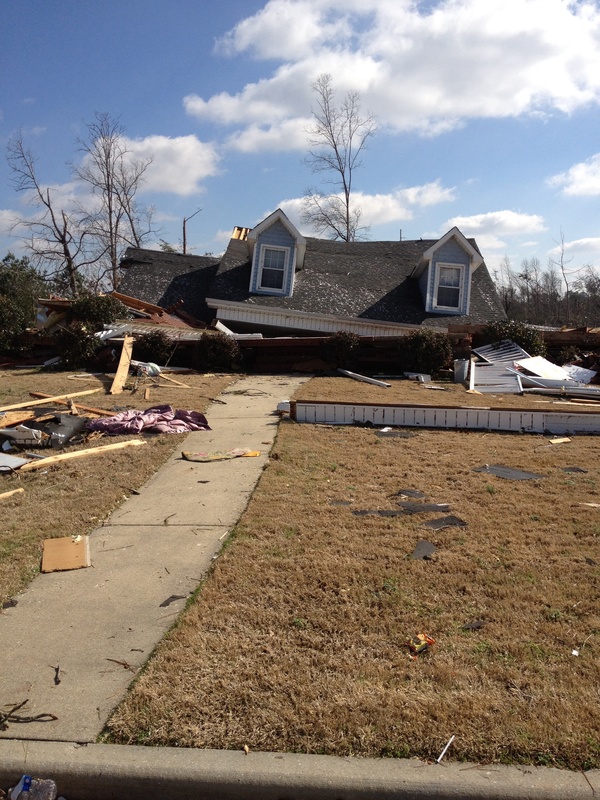 January 2012–I headed to Trussville, AL to volunteer with Mercy Chefs to feed hot meals to the tornado victims. When I arrived, it was determined that Mercy Chefs wasn’t needed as Samaritan’s Purse had the situation under control. I just drove nine hours from Shreveport . I wasn’t going to turn back so I was allowed to volunteer in the kitchen as a Samaritan’s Purse volunteer. We provided most meals but some meals were served by local organizations. Grace’s Kitchen served up some delicious meals a couple of times during the two weeks I was there. This trip is beginning to get fuzzy already, but I don’t think I could ever forget the cappuccino brownies. I remember them vividly. I was sitting at a long table with maybe thirty volunteers, most of whom I had never met. I sat across from this guy that moderately resembled Harrison Ford. He was telling me that he was an electrician and he traveled and volunteered his time. Maybe he was a plumber, I can’t say I wasn’t really paying attention. Something about being a former alcoholic and whatever else he was saying about carpentry or Hungarian ice wrestling. I was too busy thinking about these brownies to pay him much mind. I’m surprised he didn’t mention my glazed eyes. 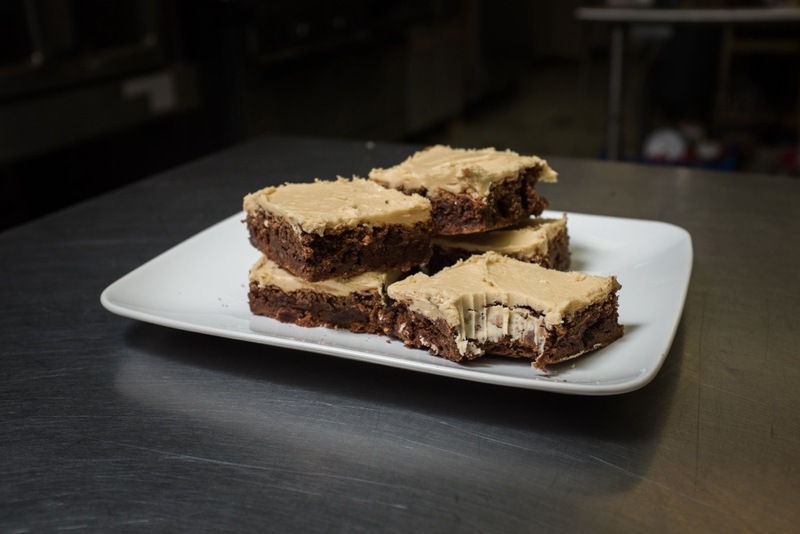 These cappuccino brownies floored me. I knew I had to have them again. Fortunately for me, they posted the recipe on their website. I don’t even have to suffer through a conversation with some Blade Runner wannabe. My friend, Josh, shot the picture of the brownies. I was able to pay him in brownies.